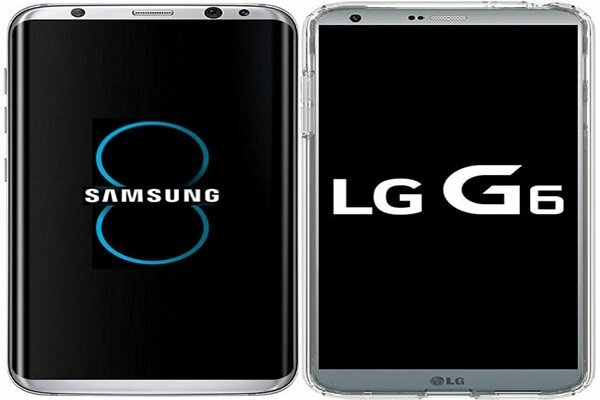 Samsung Electronics and LG Electronics have decided on when they are going to launch Galaxy S8 and G6 respectively in South Korea. LG Electronics is going to introduce G6 in Barcelona, Spain on the 26th (Spain time) and start selling on the 10th of March. Presale for G6 will take place from the 2nd till the 9th of March. Samsung Electronics is going to introduce Galaxy S8 in New York on the 29th of March (U.S. time) and launch it on the 21st of April. Presale for Galaxy S8 has not been determined yet. LG Electronics is going to start selling its premium Smartphones 42 days earlier than Samsung Electronics and this is the first time when LG Electronics is launching its new product earlier than Samsung Electronics’ Galaxy S series. It will be about 50 days earlier if presale schedule is included. Samsung Electronics initially decided to launch Galaxy S8 globally on the 21st of April and domestically a week earlier. Its original plan was to have presale on the week of the 6th of April and launch Galaxy S8 in South Korea on the 14th of April. However in order to have stable supplies, it has modified its plan by having Galaxy S8 launch globally and domestically on the same day. “Release date of Galaxy S8 in South Korea has changed from the 14th of April to the 21st of April due to reasons such as size of supplies and others.” said a high-ranking official for a mobile network provider. While discussing with three mobile network providers about release date of Galaxy S8 in South Korea, Samsung Electronics did not decide on presale schedule. It seems that Samsung Electronics has changed release date and marketing strategies and is looking to observe initial responses from markets towards G6. 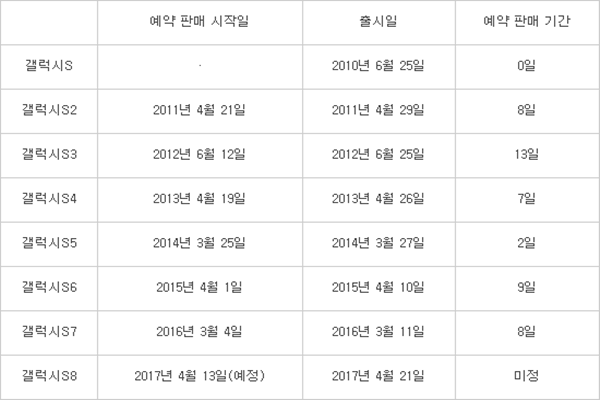 In the past, Samsung Electronics also had moved around presale schedule for Galaxy S series depending on situations of markets. Average presale schedule for Galaxy S2 to Galaxy S7 had lasted 8 days. While preorder for Galaxy S3 had lasted 13 days, preorder for Galaxy S5 had only lasted 2 days. This is a circumstantial evidence that Samsung Electronics will change number of days for presale of Galaxy S8 depending on situations of markets. “Presale has significant value in strategy of utilizing marketing.” said a professional analyst of Smartphones. “If initial responses towards G6 are positive, there is a chance that Samsung Electronics will open up preorder for Galaxy S8 earlier than expected.” As of right now, it seems that preorder for Galaxy S8 will start on the 13th of April. Both companies are competing against each other before they officially launch their premium Smartphones. While Samsung Electronics is planning to observe vibes from markets by not deciding on presale schedule for Galaxy S8, LG Electronics is working to draw attention from customers towards its G6. “Because release dates of G6 and Galaxy S8 are almost a month apart, dynamics of markets will heighten due to competitions between Samsung Electronics and LG Electronics.” said a representative for a mobile network provider.